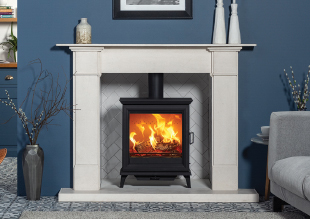 From running costs to environmental impact to providing you with a further level of self-sufficiency for one of the basic requirements of living: heat, there are many reasons to invest in your very own wood burner. When you choose to heat your home with a Stovax clean burning stove, you are making an environmentally friendly choice. Our high efficiency Cleanburn technology is engineered to generate the maximum amount of heat from your fuel, with minimal emissions. 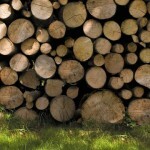 Wood is a renewable fuel source, particularly when derived from plantations and cultivated woodland. 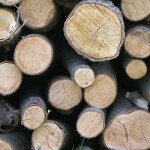 If you use dry logs from a local source, they can be one of the cheapest forms of energy. 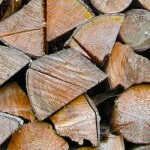 The cost per kW of useful energy is now around 4p, but wood logs can even be free if you gather your own (with permission from the landowner) and have space to season it, something that cannot be said of gas or electricity. When using your wood burning stove, fire or fireplace, for optimum results, we recommend logs should be seasoned for two years or more to achieve a moisture content below 20%. Seasoned wood will not only provide a higher heat output than that of freshly felled timber, it will also avoid a build-up of tar in your flue and ensure low smoke emissions with clean and crisp flame visuals. Furthermore, if you can obtain hardwood logs this is better still, as they will have around twice the calorific value of softwoods. Whilst many of our stoves feature Cleanburn technology for high efficiency heating in smoke control areas, some models burn so cleanly they meet, and in many cases even exceed, future Ecodesign emission and efficiency standards. We are proud to offer the largest range of ultra-clean burning Ecodesign Ready stoves and fires in the UK and Ireland. The Forestry Commission have recommended that millions of trees are planted to cover an extra 4% of the UK in woodland, equivalent to 30,000 football pitches a year, increasing the UK’s total woodland cover to 16%.